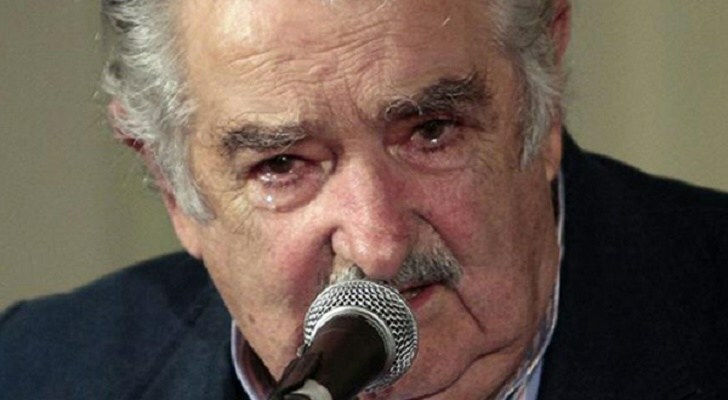 José ‘Pepe’ Mujica warns the public to stop wealthy politicians before it’s too late. In an emotional message to citizens worldwide, he has urged people to wake up to the financially motivated corruption that is rotting democracy from the core. Mujica was the Uruguayan President between 2010 and 2015 and was a former urban guerrilla fighter with the Tupamaros who was imprisoned for 13 years during the military dictatorship in the 1970s and 1980s. Often referred to as the “world’s most humble president”, he retired from office in 2015 with an approval rating of 70 percent and had touched people globally with his selfless messages. He famously donated 90 percent of his salary to charity which offered a strong contrast to politics in the United States, where the average member of Congress is worth more than $1 million and corporations are free to donate to political campaigns with many of the same rights as individuals. COA reports: Mujica explained that he didn’t have anything against rich people, per se, but he doesn’t think they do a good job representing the interests of the majority of people who aren’t rich. “I’m not against people who have money. Who likes money, goes crazy for money,” Mujica said. “But in politics, we have to separate them. We have to run people who love money too much out of politics, they’re a danger in politics…””People who love money should dedicate themselves to industry, to commerce, to multiply wealth. Mujica has become well known for rejecting the symbols of wealth.In an interview in May, he lashed out against neckties in comments on Spanish television that went viral. “The tie is a useless rag that constrains your neck,” Mujica said during the interview. “I’m an enemy of consumerism. Because of this hyper consumerism, we’re forgetting about fundamental things and wasting human strength on frivolities that have little to do with human happiness. “He lives on a small farm on the outskirts of the capital of Montevideo with his wife, Uruguayan Sen. Lucia Topolansky and their three-legged dog Manuela.He says he rejects materialism because it would rob him of the time he uses to enjoy his passions, like tending to his flower farm and working outside.